Many match directors have told us that, in the past 18 months, match attendance is down, particularly at regional and national events which require long drives. The main reason is fuel cost. With the price of gasoline soaring above $3.00/gallon, many shooters have decided to cut costs by attending fewer matches, or sticking to competitions closer to home. While not traveling to a distant match will certainly save on gas (not to mention hotel bills etc. ), we’d think there’s a compromise solution. We’ve observed that 95% of competitors at matches arrive solo — one to a vehicle. And, typically, most shooters drive big pick-up trucks or SUVs that may get less than 20 mpg on the freeway. PROPOSAL: Car Pool to your next shooting match, and/or drive a vehicle with better mileage. Whenever possible, this editor tries to “share my ride” with other shooters attending a match. I also drive an 8-year-old station wagon that gets an honest 29 mpg on the highway. Though it’s cheap to run, my vehicle has plenty of space for all the guns and gear 2 or 3 shooters would ever need. Here is a chart showing how much you can save by carpooling and by driving a vehicle with better mileage. If you drive 5000 miles a year to shooting matches, a car getting 27 mpg will burn $349 less fuel than a vehicle getting 17 mpg. And even if you stick with your 17 mpg truck or SUV, ride-sharing with one other shooter can save you over $470 per year (if you drive 5000 miles to matches). 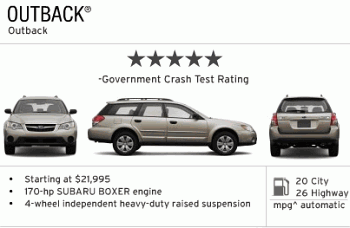 If you want to replace an older, gas-guzzling vehicle, check out the Subaru Outback. We’ve tested one and came away very impressed. It’s roomy inside and has good ground clearance outside. It has a 5-Star crash rating and gets 26 MPG on the highway. Base models start at under $22K. 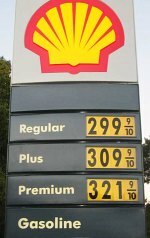 Share the post "Fuel Strategies — How to Shoot More, Spend Less"
I’m moving to the US, your gass is cheap! It’s around $8.50/gal over here in the EU (but 60-70% are taxes). Even better, date/marry someone who is provided a company car and use this to get to your matches on the weekends. I drive a Toyota Prius which is a hatchback. The back end will hold two guns with all the gear for a benchrest match and luggage. It is comfy up front and gets mid 50s in normal mixed driving and mid 40s at highway speeds. Last year I took it to a match that was 300 miles away and spent 40$ in gas for the whole weekend. I’m 6’4″ and 220 lbs and have never had a more comfortable vehicle for long drives. I’ve done several 1000 mile a day trips. Just read about the cost of driving in the US. In the UK petrol or gasoline cost approx £1 per liter. There is about 4.5 liters in a gallon which is a bout £4.50, which is roughly $9.00 per gallon. So consider yourself lucky. Also don’t you have any diesel vehicles? These do anything from 35mpg to 70mpg. The UK are robbing us by charging, £30+ per pound of powder ($60). Most of the ammunition, rifles, scopes, bullet heads are also about double what it is out in the US. US shooters should consider them selves lucky that they do not live in the UK. subaru outback for $22k bargain if you could find one for £22k in in UK let alone $11k.